Should it Become an Endpoint in Trials of Antidepressants? DSM-IV has recommended use of the Social and Occupational Functioning Scale (SOFAS) as a clinician-rated global assessment scale for measuring social functioning; this scale is analogous to the Clinical Global Impression (CGI) scale traditionally used as a secondary outcome measure in patients with depressive symptoms. However, we believe that health-related quality of life is the most appropriate indicator of social functioning when considering this dimension as an endpoint in clinical trials of antidepressants. As health-related quality of life is a purely subjective measure, patient-rated questionnaires have been found to be most important in this context. In this respect, the Sheehan Disability Scale has been recommended as the most relevant global self-reported assessment of social functioning in trials of antidepressants. 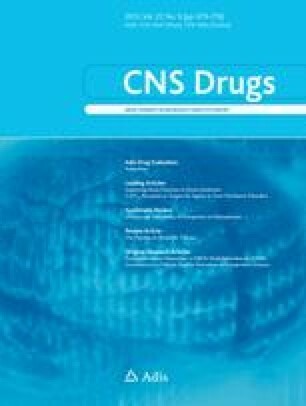 A review of questionnaires found that the three most frequently used scales selectively directed at obtaining information about social functioning in trials of antidepressants are the Social Adjustment Scale — Self Report (SAS-SR), the Social Adaptation Self-Evaluation Scale (SASS) and the Short-Form Health Survey (SF-36). However, the number of placebo-controlled trials of antidepressants that have used these scales is still too limited to allow comparisons in terms of responsiveness. Health-related quality of life includes dimensions other than social functioning, e.g. physical health and mental health (including both cognitive and affective problems). The SF-36 includes subscales relating to physical and mental health, which, like the social functioning subscales, are measured in terms of degrees of well being. Another quality-of-life questionnaire, the Quality of Life Enjoyment and Satisfaction Questionnaire (Q-LES-Q), covers social, mental and physical problems, in this case measured in terms of degrees of satisfaction. Recently, the Q-LES-Q has been reduced from a comprehensive scale including 60–92 items to a brief version including 15 items. An additional item measures overall life satisfaction. As most of the items in the brief Q-LES-Q include social functioning, the scale can be considered as an alternative to SF-36 or the Sheehan Disability Scale when the focus is on satisfaction with treatment. However, there are insufficient numbers of trials of antidepressants using these questionnaires to allow comparisons. The examples of trials of antidepressants with the SF-36 subscales discussed in this review have mostly involved SSRIs. These trials have demonstrated that although antidepressants improve social functioning compared with placebo over a 6-week treatment period, the endpoint scores are still significantly below the national norms at this point. Only after 12 weeks of therapy are the endpoint scores of the social functioning scales within the limits of the national norms. In relapse prevention trials or in maintenance trials to prevent recurrence of depression, comparisons of social functioning scores with national norms can be important supplementary indicators of the need for treatment. In conclusion, social functioning as part of the health-related concept of the patient-reported quality-of-life measure should constitute an endpoint in trials of antidepressants to help clarify the goals of treatment in patients with major depression. In medium- and long-term trials, SF-36 subscales should be used as a supplement to symptom-orientated scales. In trials of shorter (6–8 weeks) duration, use of other scales such as the SAS-SR, the Q-LES-Q or the Sheehan Disability Scale should be considered. These scales should be considered as supplementary to each other rather than alternatives; it may be necessary to use more than one of these scales in a trial. The author confirms that the work on this article has not been financially supported by any organisation or company.